Yes, it’s just February, but it is never too early to begin thinking about how your legs are going to look when it is time to break out your shorts. Women and men are built very differently, and where they carry their weight is also very different. While men tend to carry their extra weight around their middle section, women tend to find that their problem area revolves around their hips and thighs. The thighs are often difficult for women to tone and tighten, and they are also the area that sees significant sagging after a significant amount of weight. 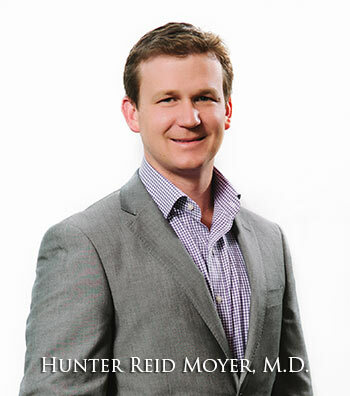 Dr. Hunter Moyer, MD offers thigh lift surgery for patients who are unhappy with the appearance of their thighs. He uses a customized approach to help women find the confidence they desire in their legs. It is clear that thin is in and has been for the last decade or more. Current trends like the thigh gap and the amount of money spent in the United States on weight loss programs points to the obsession we have with fat. Research has weighed in (pun intended) that both genetics and free-will play a major role in our weight. Recent discovery of the FTO gene, and the resultant obesity if the gene is mutated indicates that some people have a hereditary cause for obesity. Having said that, large identical twin studies from California show that people with the exact same genetic make-up can or cannot become obese based on their lifestyle. So what is fat, and why do we need it? Fat (or triglycerides) are an essential source of energy for humans. A calorie is a measure of this energy, and it is defined as the amount of energy needed to raise the temperature of one gram of water by one degree Celsius. But not all foods are the same. A gram of proteins or carbohydrates contain enough energy for four calories, whereas fats provide energy for nine calories. If we are all marathon runners it probably doesn’t matter how many calories (and fat) we are consuming. A fat cell (or adipocyte) serves several purposes in your body. Primarily, fat cells are storage containers of fat. If you look at a fat cell under the microscope you see a small cell body and a large space filled with triglycerides. When you gain weight, you don’t make many new fat cells. Rather the storage space stretches to accommodate the increase in fat. (As a side note, cellulite develops because the bulging fat cells push against tethering points between your muscles and skin) Fat cells also serve to protect and insulate your body, and they are a source for enzymes that produce steroid hormones like estrogen and leptin. Fat cells are essential, but only in moderation. Losing fat is not impossible, but losing fat cells is extremely difficult. As we covered earlier when you lose weight you will deplete the fat stores within the fat cells of your body, but you will not lose the fat cells themselves. Losing weight is not easy, but it does come down to a simple formula of consuming fewer calories than you burn on a daily basis. Counting calories, eating protein rich foods or juice cleansings all work in the short term, but remember that a healthy lifestyle is a marathon and not a sprint (pun intended). Both surgical and non-surgical treatments have been developed to help trim excess fat cells from your body. Two non-surgical treatments that I am familiar with are Kybella injections and CoolSculpting. Kybella is the new, FDA approved injectable that has been proven to “melt” the fat away from your neck and double chin. This liquid necklift works, because it is a chemical similar to the ones in your intestines that break up and help absorb the fats in your foods. By injecting it into your neck, your body will slowly absorb the excess fat over a two to three month period. For larger areas of the body, selectively freezing the fat cells with CoolSculpting can remove 25% to 35% of the bulk in your love handles, waist, thighs or virtually anywhere else. The process takes about an hour and there is minimal to no downtime. Liposuction is a surgical procedure where large portions of your fat cells are removed from your body with a cannula and suction machine. There are many new terms added to standard liposuction like SmartLipo, VASER, BodyJet, and LASER lipo that include new gadgets and usually increased costs. In some instances these new techniques are better, and in most instances they are not. Results from liposuction are considerably more dramatic than non-surgical treatments; however, the swelling, bruising and pain are more and they last longer. Please see your board-certified plastic surgeon for further advice. If you are worried about fat, you are not alone. In truth, genes may play a role as to how you look in those jeans, but your choices are most important. Set nutrition and exercise as a healthy goal first, and visit your plastic surgeon second.